This is a free site!!! Please help support it's research. 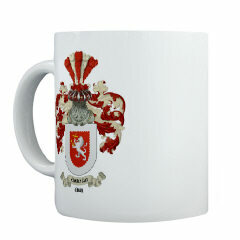 coffee mugs, t-shirts, sweatshirts, mouse pads and more!!! The name Gray originated from the name of a place in Burgundy, France where in the department of Haute-Saone, there is now a town called Gray. It originally was called Croy. A Norman chief named Rolf, Rollo, or Raol invaded France with his Norwegian followers and established himself in the ninth century.A descendant or member of this family became Chamberlain to Robert, Duke of Normandy, and received from him the Castle and Honor of Croy, from which the family assumed the name of DeCroy. This was changed afterward to DeGray and eventually to Gray without the prefix. The Grays migrated from France to England with William the Conqueror in 1066, for among the names of those inscribed at the Battle Abbey after the Battle of Hastings was of J. DeGray. 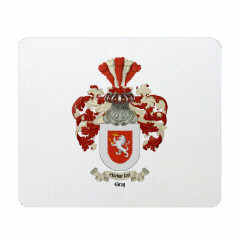 Many of the proudest titles of England have for centuries been borne by the Gray family. A sister of Henry VIII married the duke of Suffolk, who was of that family,and their daughter, Lady Jane Gray, wore for a few days the Crown of England, her life being the price of the undesired honor. From 1620 to 1720, twenty or more distinct family's of Grays came to America, a fact which accounts in part for the difficulty of tracing the ancestry of the immense number of that name. The Grays came to America early. They were at Plymouth, Boston and Salem among the first settlers. It is said that Mrs. Desire Kent, daughter of Edward Gray, was the first woman to step ashore at Plymouth rock.